I took my first professional audition at the end of my first year of graduate school. In the warm-up room prior to the audition, my friend Juan walked in and said, "You know that note is an F-sharp, not F-natural, right?" I hadn't even learned the excerpts correctly and that was only the beginning of my preparation failures. Needless to say, I did not advance. I was a late bloomer to the horn. I gave it a try in 6th grade but abandoned it within six months. Around 11th grade, I came back around to the instrument and (somehow!) ended up going to college for horn. I was very fortunate that my school, the University of Central Florida, cultivated an environment that gave me the space to make up for some of that lost time and learn how to play the instrument, and still offered numerous playing opportunities for me to jump into and grow. When I started at UCF, I didn't know you could actually major in performance... or what an "excerpt" was... or how to transpose... or that horn players even needed to transpose... or how people got jobs in orchestras... I had never even been to an orchestra concert! Needless to say, I had a lot of catching up to do, but UCF was a wonderful and safe place to do so. By the time I started at McGill, I had a slightly better understanding of what the orchestra world was like and how auditions were a huge part of that. My playing was improving, I was getting work experience in various orchestras, and I thought I would walk out of McGill with a big job in hand. Spoiler alert: that was not the case. But shortly after that ill-prepared first audition, I advanced for the very first time in an audition for solo horn of l'Orchestre symphonique de Québec. I was so excited! I got out of the first round! But then I did not advance again for three years. It pains me even now to type that. But I had no idea what I was doing. Admittedly, there were some big holes in my technique that needed to be sorted through, but there was also just a complete lack of understanding about what it takes to properly prepare for an audition and be a real contender. Then I ended up at Colburn. There I started studying with Andrew Bain and Don Greene and they changed my life forever. 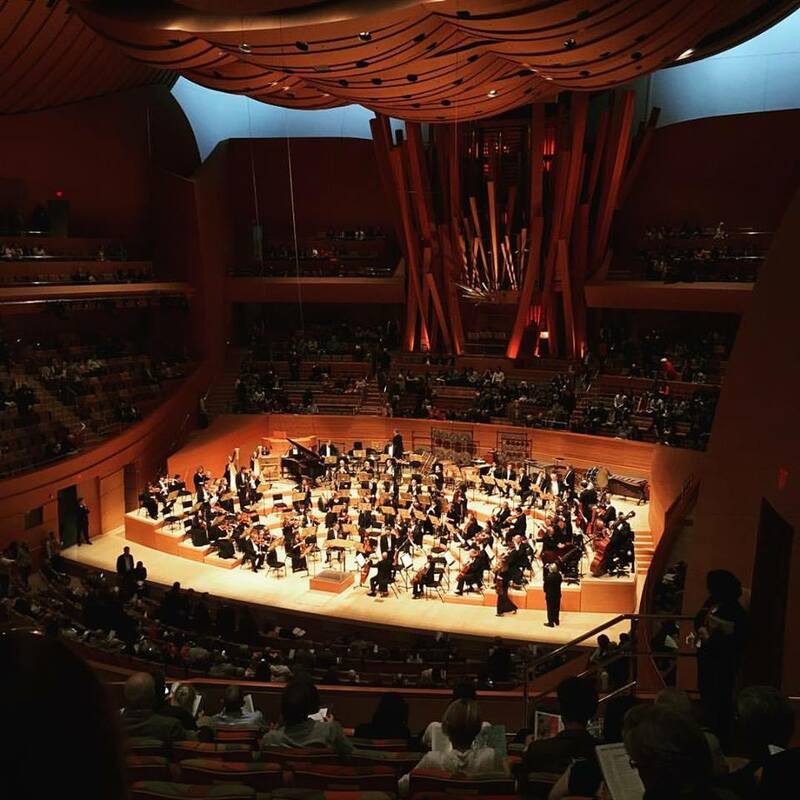 I spent my three years at Colburn working not just to fix my horn playing (which needed a lot of work!) but also my approach to auditions. In my first semester at Colburn, I advanced in the 3rd horn audition for the Montréal Symphony and I felt as though my curse was finally broken. Within the next year, I started advancing regularly, and was even making finals and super finals in auditions. So what made the difference? The most obvious reasons are that my playing improved and I started to develop the mental skills needed to strengthen my mind in auditions. But on top of all of that, I had a plan. For every audition, I was organized and had a plan. A plan for the weeks of preparation, a plan for the improvements to my technique, a plan for the moments on stage, a plan for how each excerpt would sound... everything. And the plan didn't always work. In fact, it often did not work. But I took note, adjusted course, and changed the plan for the next one. And I still do! And I will forever! The things I learned from Andrew and Dr. Greene were huge. To keep it all organized and try to implement everything they were suggesting, I started making charts for myself. At first just to organize my daily practice. Then my weekly practice. Then to choose which things to practice when. Then to rank my excerpts. Then to plan the audition day. There were a lot of charts. Admittedly, I went a little "Leslie Knope" with it! At a certain point, it felt like it was a hindrance more than a help, because every time a new audition came around, I felt I was re-inventing the wheel all over again, creating yet another new set of charts for whatever was coming up. One day I realized... wouldn't it be so much easier if I just had all of this ready to go, like a workbook? I could just print it off for each audition and jump straight into preparation. So I worked one summer on creating a master workbook for myself. I called it my "playbook" and friends started to take notice. Many people asked me about it or for copies for themselves, but I had created it just for me. There were no instructions. It was very crude and basic. They wouldn't even know what to do with it. With every audition, performance, and breakthrough, I changed things about my Playbook. I was learning so much about my playing, my auditioning, my work habits, my learning style... the Playbook evolved fast. Over time, my desire to keep this to myself was overruled by my realization that this could be extremely helpful to so many people, so I got to work turning it into the version it has evolved to today. I was hesitant because it never felt "ready" -- I was always changing things. But just like the horn, and the auditions, I realized that will be happening forever. That's growth! I was hesitant too because I thought, "How I am I an authority on auditions? How could I publish something related to auditions? I went three years without advancing!" But the truth is all of those experiences gave me so much. I learned more from those failures than the successes... and I have learned a lot from the successes! I've collected quite the bank of information about what works and doesn't work -- for me and for others -- and I know that these experiences have provided me the unique opportunity to create helpful tools for everyone. I'm very excited that the Audition Playbook has grown into the useful tool it is today and I am so happy to share this with all of you. I hope you will continue to grow and ask questions and enjoy the process... as I plan to do!